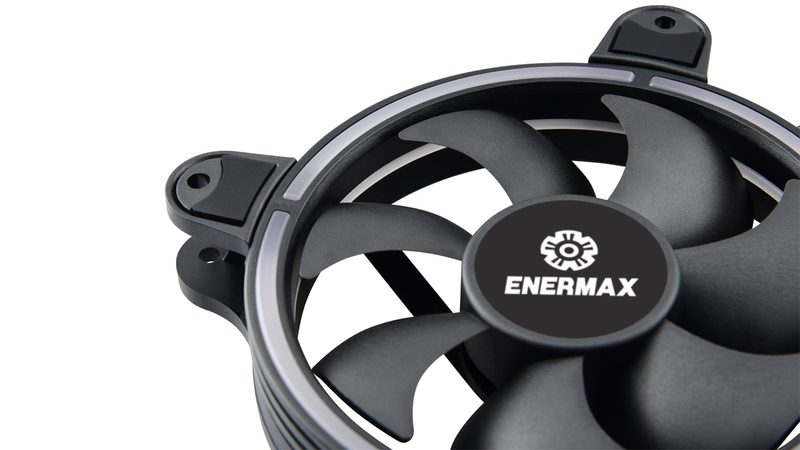 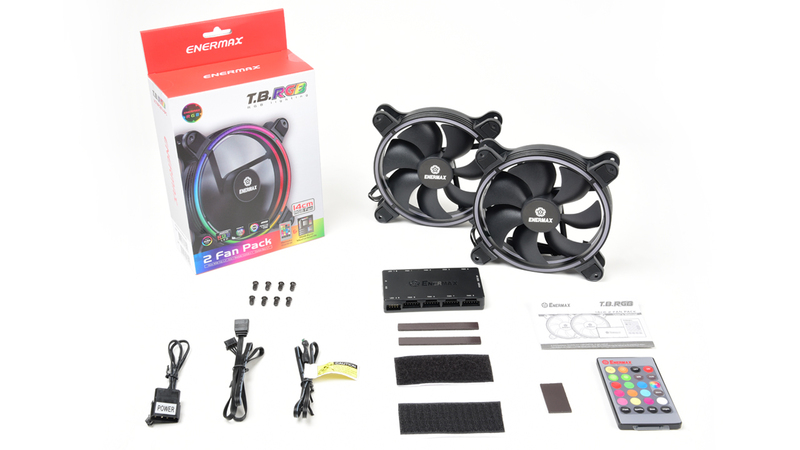 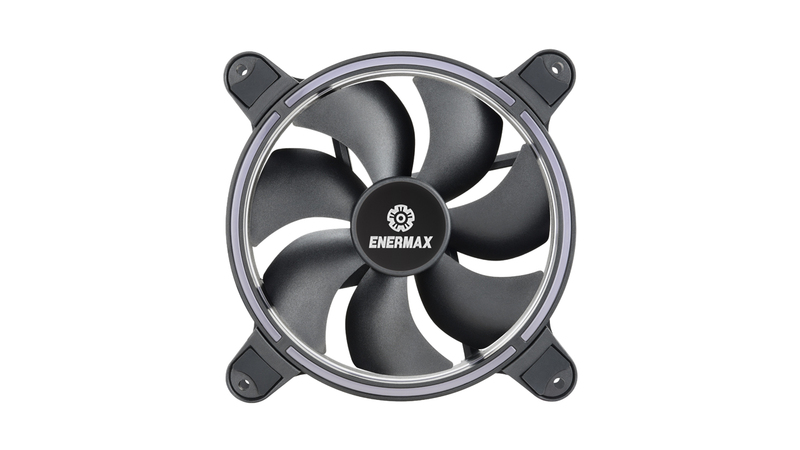 The T.B.RGB fan applies exclusive ENERMAX LED LIGHTING Technology to deliver incredibly bright and even RGB lighting. With the patented Twister Bearing technology, the T.B.RGB fan can not only provide beautiful lighting effects, but also offer superior silent performance. 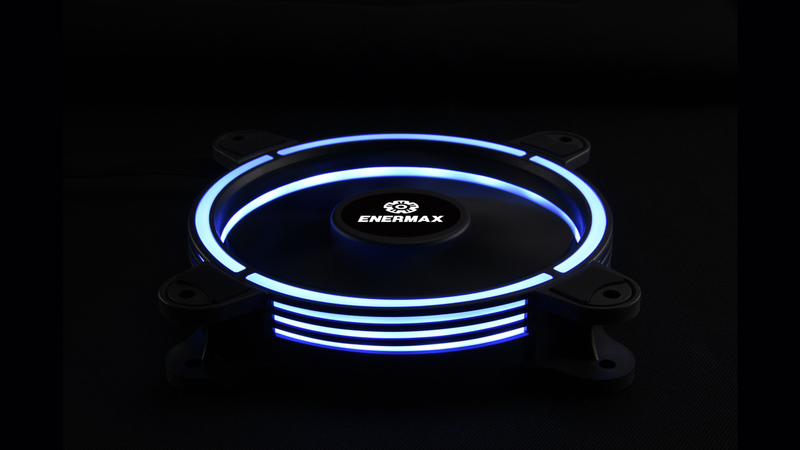 T.B.RGB can be used as a standalone product with the included RGB controller or can be synchronised with supported RGB motherboards from Asus, Asrock, MSI and Gigabyte. 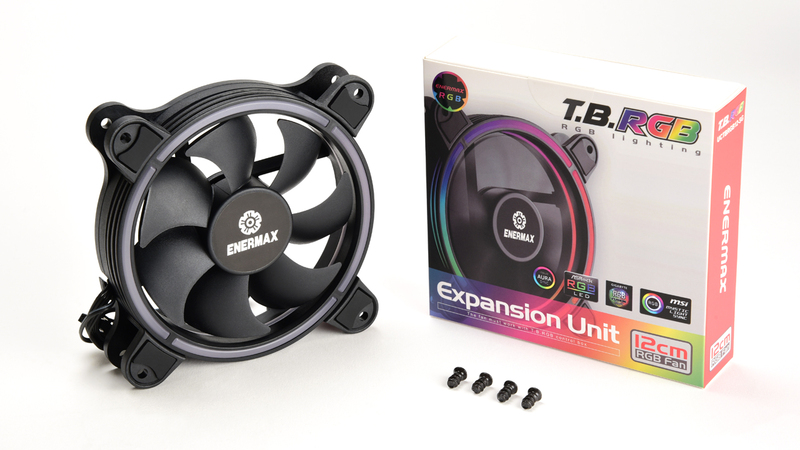 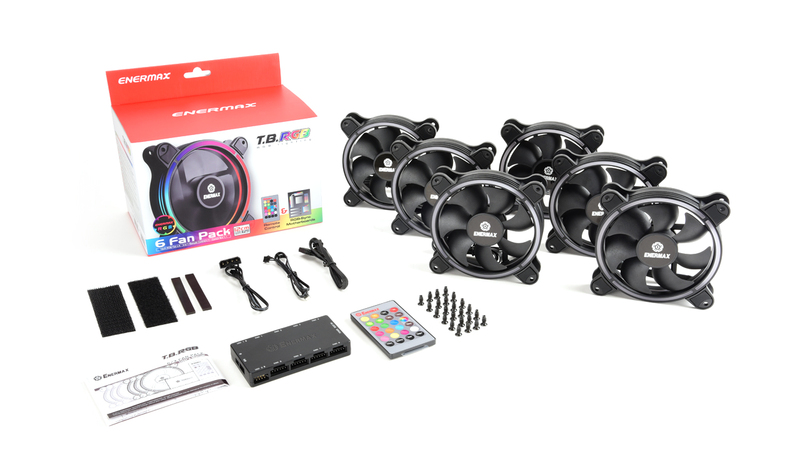 T.B.RGB is the excellent RGB fan to create the right light and colour composition for your system. 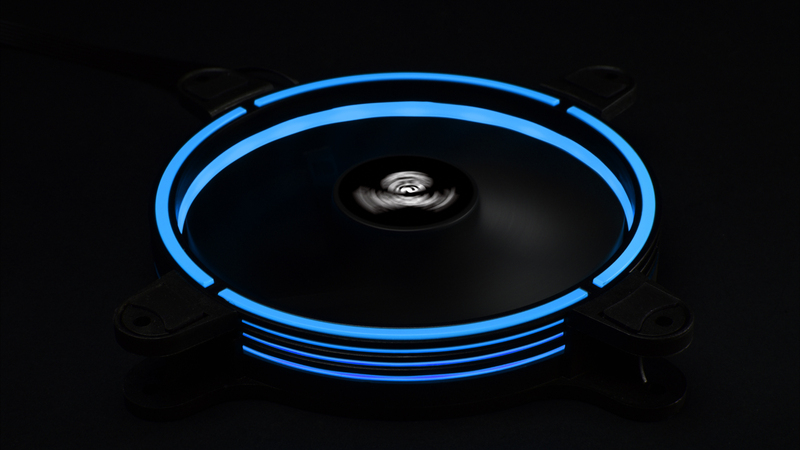 T.B.RGB offers full colour control and stunning visual effects. 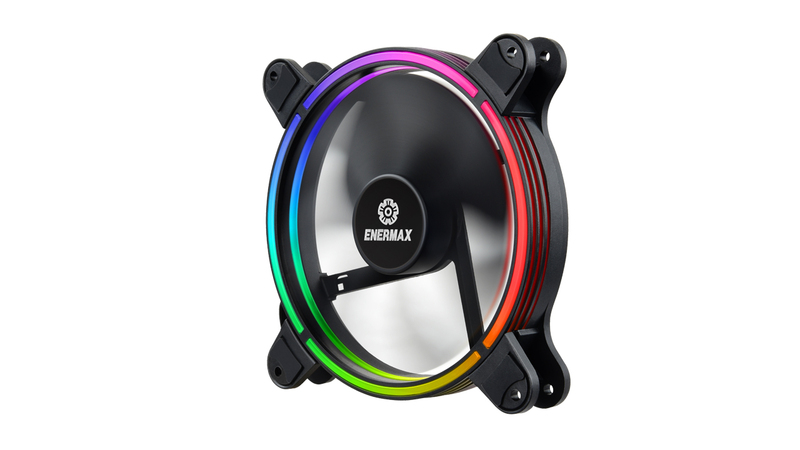 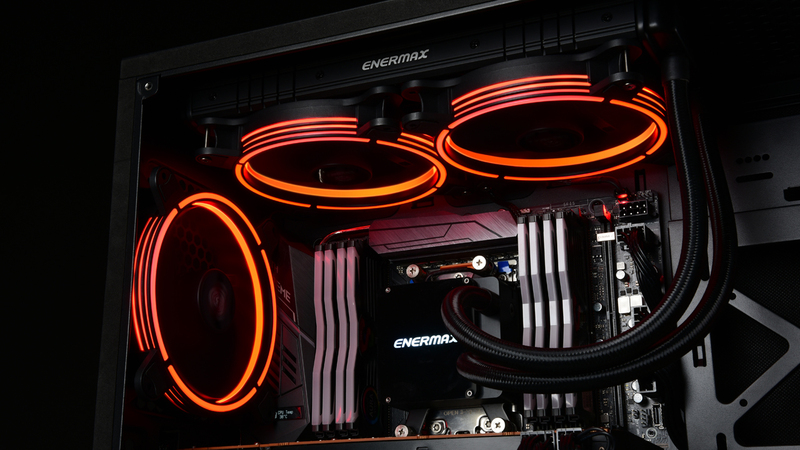 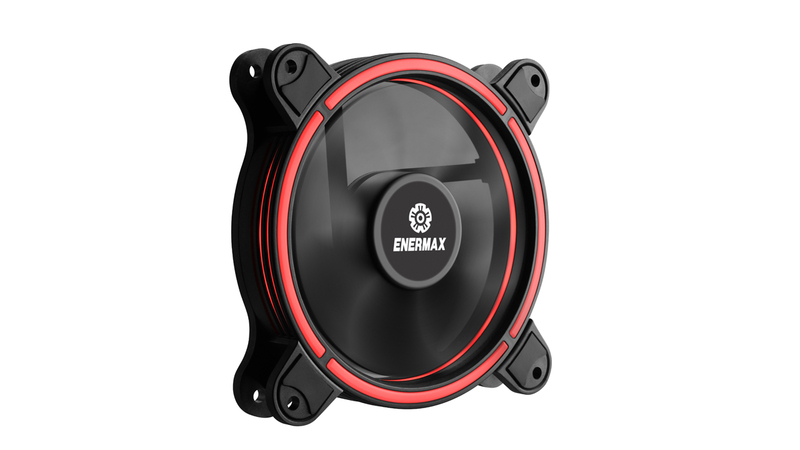 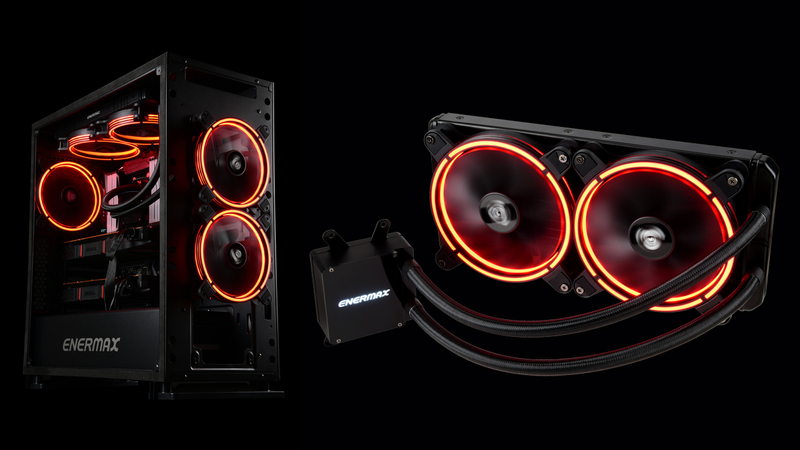 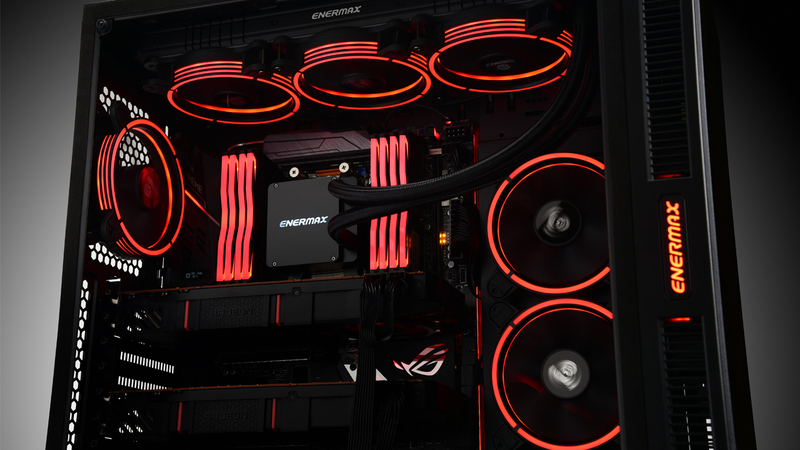 Four halo shaped rings equipped with the ENERMAX LED Lighting Technology are smoothly worked into the frame and offer bright and even illumination without visible LED spots. 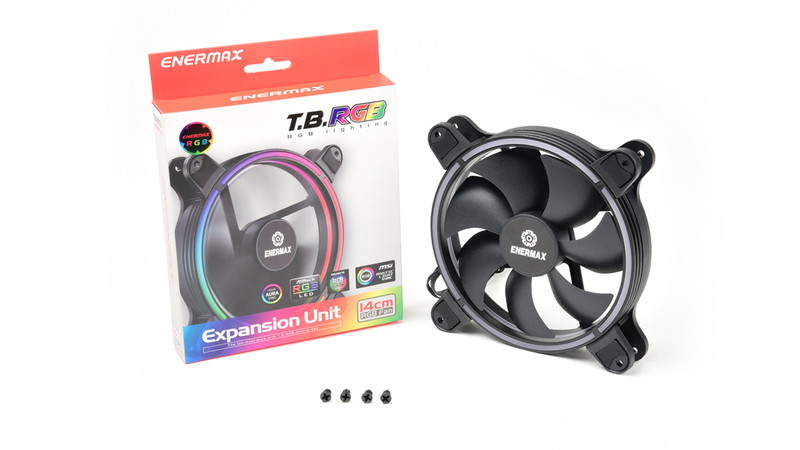 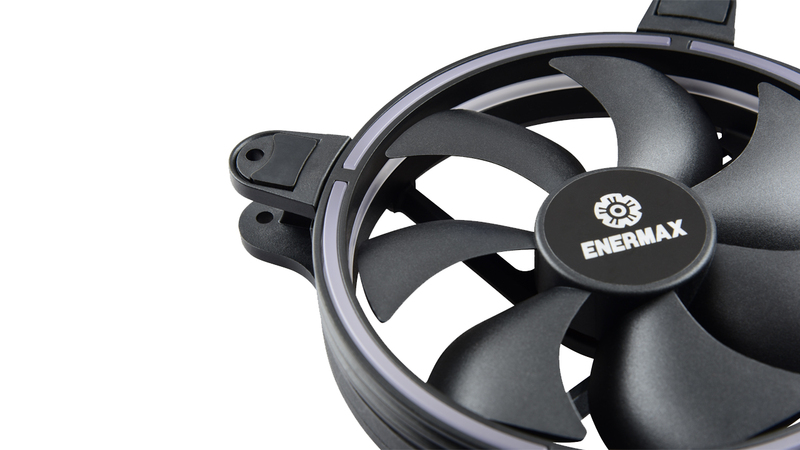 The fan blades of T.B.RGB are optimized for silent operation and the speed can be turned down to 500 RPM. 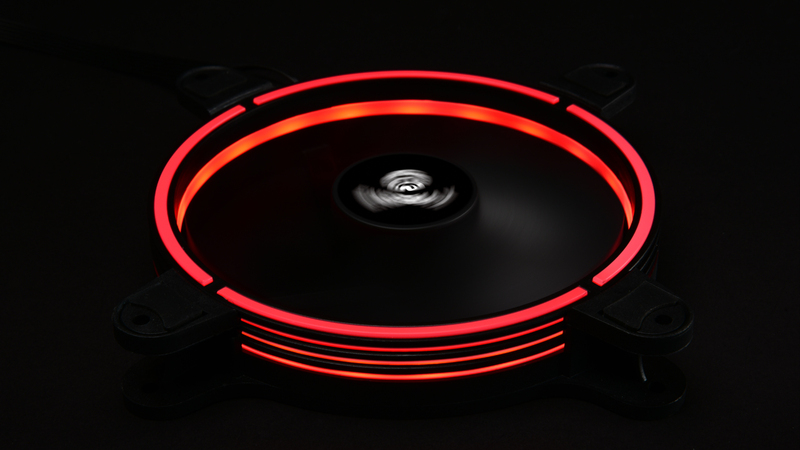 T.B.RGB’s frame is equipped with rubber damping pads to prevent vibration transfer to the chassis and to ensure low noise operation. 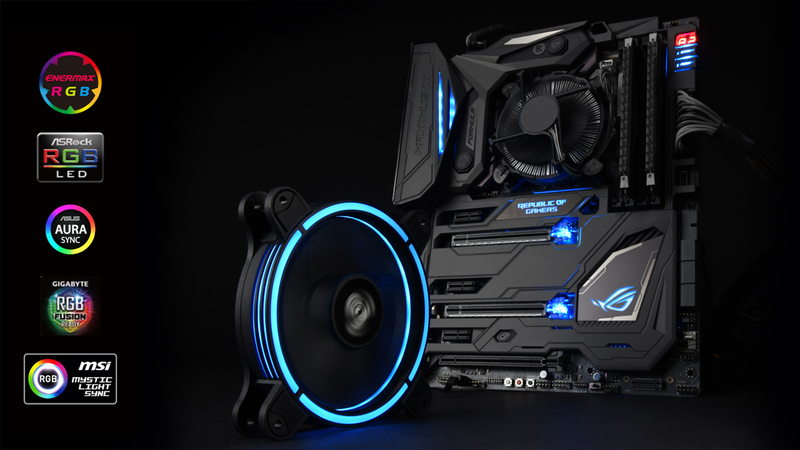 The RGB sychronization via 4-pin RGB header is compatible with motherboards using Asus Aura Sync, ASRock RGB LED, MSI Mystic Light Sync and Gigabyte RGB Fusion. T.B.RGB comes with a 3-in-1 IR remote control. 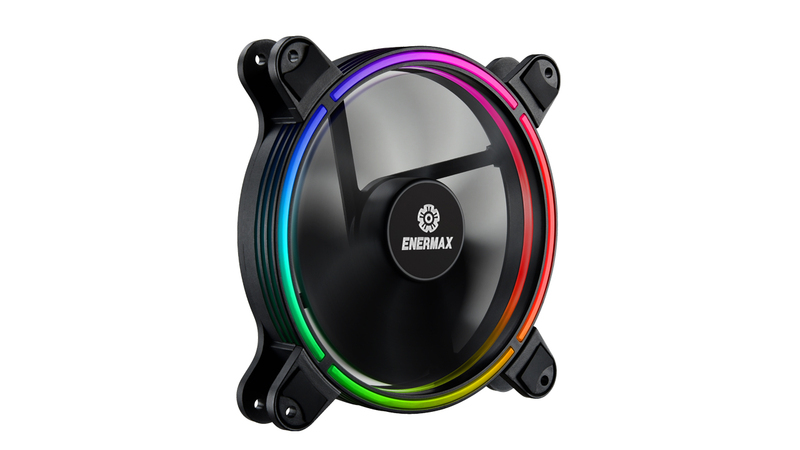 You can choose one of the ten pre-set colours or automatically cycle through the RGB spectrum and save your favourite colour. 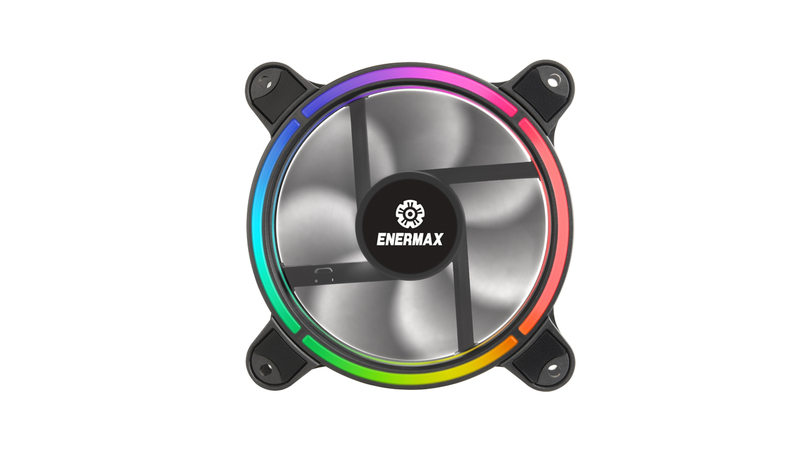 All colours and effects can be adjusted in brightness and speed or even be switched off. 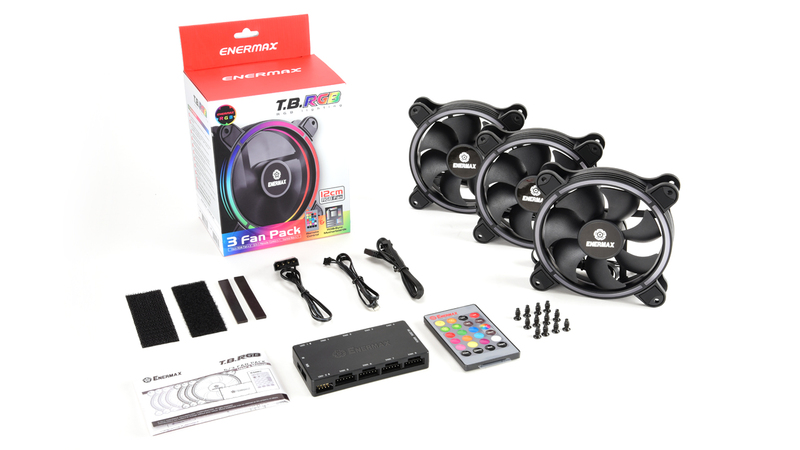 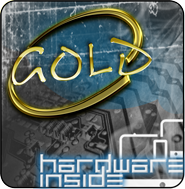 If you are using RGB Sync with your motherboard you can switch instantly between the motherboard’s and the T.B.RGB’s control. 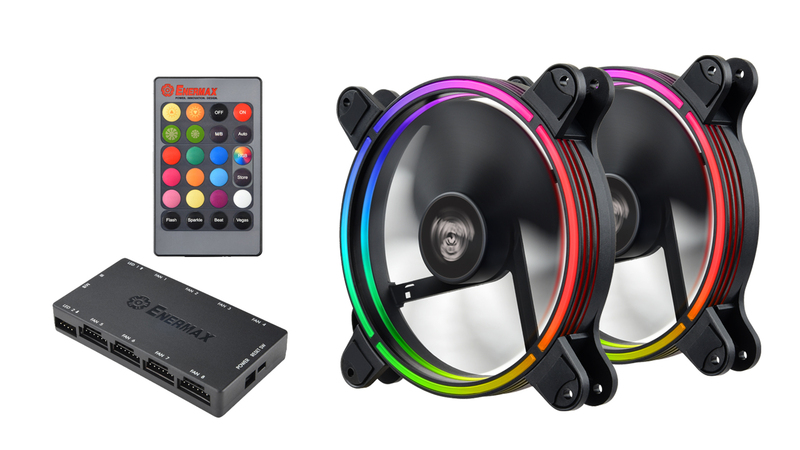 Apart from the LEDs the remote also changes the fan speed. 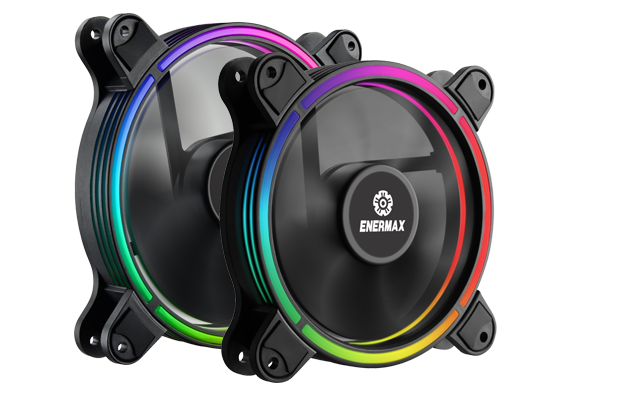 The Enermax RGB control box supports up to 8 x T.B.RGB fans and 2 x RGB LED devices with 4-pin header. Velcro or magnetic stripes can be used to mount the control box behind the motherboard tray. 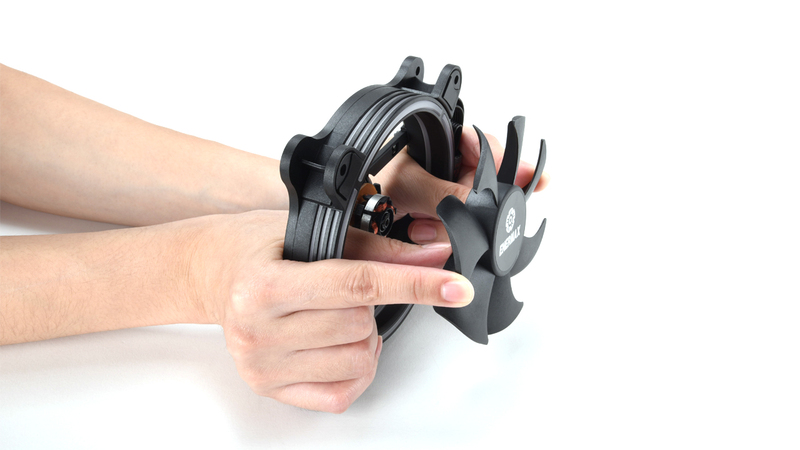 The detachable IR sensor cable offers an easy way to fix the sensor at your preferred location. 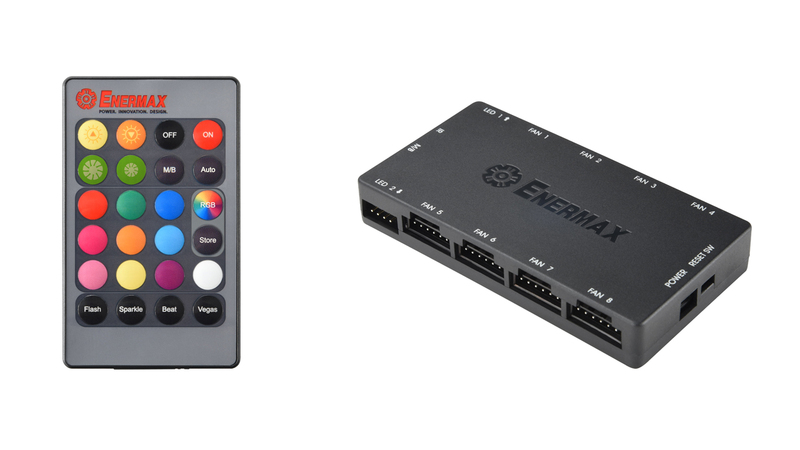 Optionally, the case reset switch can be connected to the RGB control box to control the effects directly from the case without using the remote control. 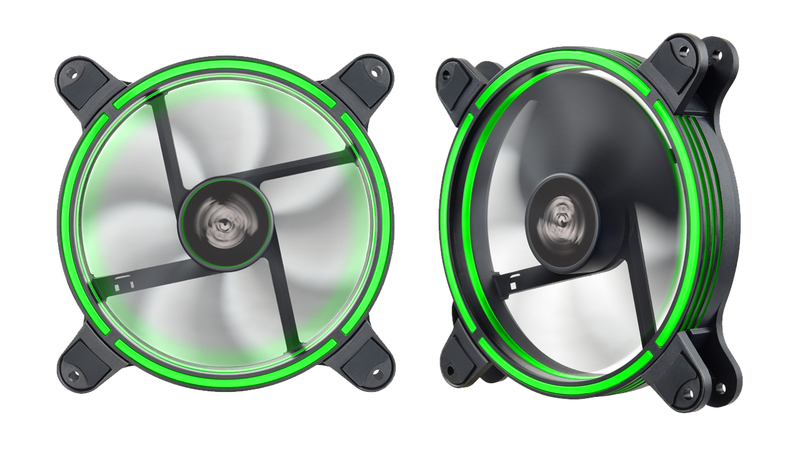 Thanks to the Twister Bearing technology T.B.RGB’s fan blades can be detached for easy cleaning. 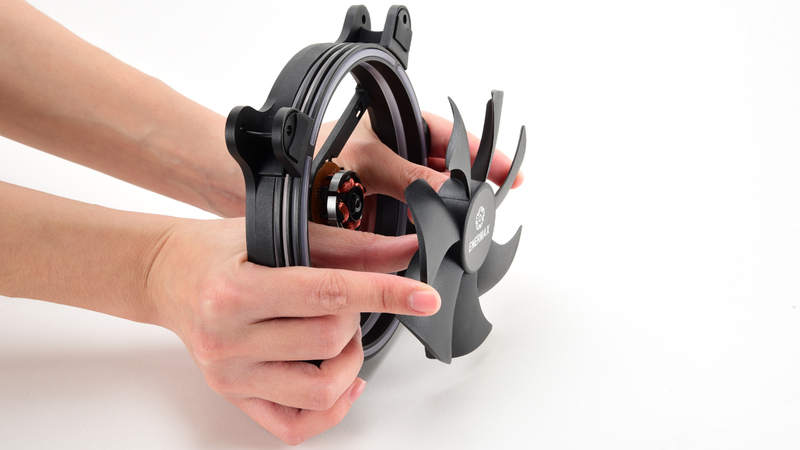 Release the fan blades by appling pressure in the center of the rotor from behind.